Over the past two years, the EU has seen a wide range of natural and ecological disasters. In 2017, over 200 people were killed by natural disasters in Europe. But natural disasters have also a severe economic impact. Since 1980, as well as the human cost, EU Member States have lost over EUR 360 billion in weather and climate extreme events. 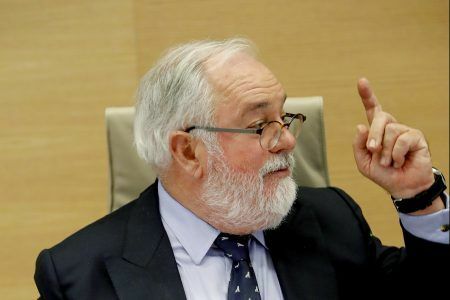 In Portugal alone, the direct economic damage of forest fire events between June and September last year is estimated at close to EUR 600 million, representing 0.34% of Portugal's Gross National Income. For the first time in history, significant fires occurred in Sweden and Germany in 2018 leading to significant concerns that climate change is impacting civil security in ways previously not seen. In November 2017, the European Commission revealed ambitious new plans to strengthen Europe's ability to deal with natural disasters. The proposal is a central part of President Juncker's agenda of a Europe that protects. The plans were approved by the Parliament in May this year. -How can the EU best eliminate delays in disaster response? -In responding quickly to a disaster, how easy is it for Member States to buy or lease urgently-needed equipment? -Practically, how will EU programmes help in the case when Member States cannot provide their own capacities? -How many simultaneous requests will a programme such as rescEU be able to respond to? -How can the EU's Copernicus programme 'Emergency Management Services' combine with other programmes to ensure better management of environmental disasters? -What additional value is provided by multi-purpose aircraft utilising latest generation technologies such as night vision, search radars and optical sensors?